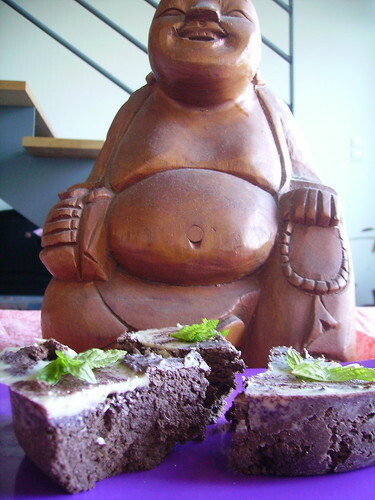 Buddha loves cake, a photo by DivineMissEm on Flickr. I am so proud of this cake! I have finally cracked the code on making raw cakes without loads of heavy nuts. It is raw, vegan, totally gluten-free and nut-free. It’s a seriously dark chocolate base, super dense and creamy with a crunchy white chocolate and purple corn icing.